Cook the rice with 1 cup of milk and 2 cups of water in cooker until the rice gets cooked well.Add the powdered kalkandu and cardamom into the rice keeping it in the stove. Kalkandu will make the rice watery. When the rice cools it will become thick. If you feel that it is too watery cook for another 5 minutes. Add the saffron mixed in milk also into the rice. Fry the cashews and grapes in the ghee and mix it with the rice. 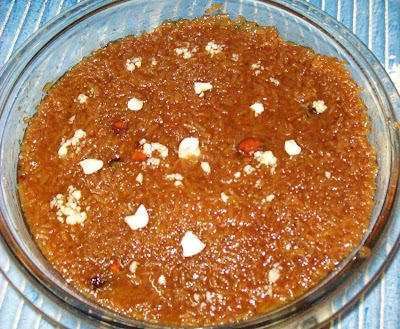 You can also prepare this using sugar instead of the kalkandu..There is no much difference in the taste of the rice. Delicious kalkandu sadham is ready. Jaggery 1 and 1/2 cups. Clean and wash the rice and dal.Cook the rice and dal with milk till they become soft.Take water and jaggery and boil it until it dissolves in water and become thick. Keep stirring continously till the syrup forms a thread when dropped. Mash the cooked rice adding the ghee. Add the mashed rice to the syrup and mix well on a low flame. 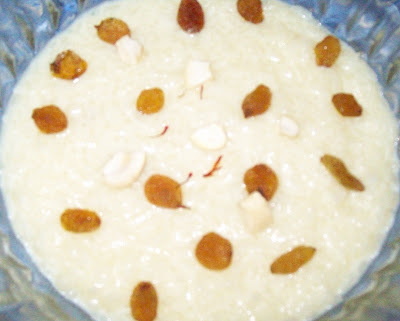 Cook on a low flame stirring well to blend the pongal for 3 minutes.Add ghee and crushed cardamom and garnish with roasted cashew and dry grapes.if you like to use milk in this recipe, add 1 cup milk while mashing the rice with ghee.The amount of ghee mentioned here is minimum,serve hot. Thank you purva .. kalkandu means sugar candy that is kadi shakkar in hindi.. really it is delicious..you try this and let me know..